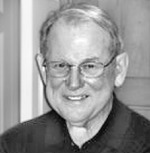 Robert W. Shaw, 71, a retired Marine Lieutenant Colonel who served in Lebanon, the Dominican Republic and Vietnam, died March 6, 2007, at Inova Fairfax Hospital of complications of diabetes. The Annandale resident collapsed after his morning walk. Colonel Shaw was born in Winthrop, Massachusetts, and grew up in nearby Medford. At Tufts University, he earned six varsity letters in football and lacrosse. A pulling guard, despite being only 5 feet 9 inches tall and 175 pounds, he was on the 1956 team that upset then-powerhouse Harvard. An honorable mention all-American in lacrosse, he was a national scoring leader during the 1956 season and was known for once flattening Syracuse University's Jim Brown, an all-American running back and Hall of Famer in football and lacrosse. Unfortunately, as one of Colonel Shaw's sons recalled, Brown evened the score the following year; the future colonel managed to regain consciousness by halftime. After graduating from Tufts in 1957, he followed in the footsteps of his older brother and accepted a commission as a 2nd lieutenant in the Marine Corps. As an infantry officer, he was involved in the amphibious landing in Lebanon in 1958 and the occupation of the Dominican Republic in 1965, and served in Vietnam in 1968-69. For almost a year, he served as executive officer of the 3rd Battalion, 1st Marine Regiment in the "Arizona territory" -- the region of Vietnam that served as the backdrop for Virginia Senator James Webb's novel "Fields of Fire." At the end of his tour, then-Major Shaw reviewed daily notes that he kept and found that his unit had suffered more than 1,400 casualties (killed, wounded, missing and accidents) for 1,250 positions. Colonel Shaw, a recipient of the Legion of Merit with Combat V, was known as "Sugarbear" among the battalion's junior officers and staff noncommissioned officers. A Marine who had to endure being chewed out would end up feeling worse about disappointing the major than about the reprimand. He was a popular figure at battalion reunions through the years. Colonel Shaw received a master's degree in personnel administration from George Washington University in 1968 and attended numerous military schools. He retired from the Marine Corps in 1977 and worked as an executive for several information processing companies before retiring a second time in 2003 as principal of RWS Associates. In retirement, he was governor, secretary and club historian at the Army and Navy Club. He loved conducting tours of the club's art collection and leading monthly new-member orientations. He also wrote a column for the club's newsletter. He was a member of St. Ambrose Catholic Parish in Annandale. His marriage to Ruth Shaw ended in divorce. Survivors include his wife of 28 years, Camille C. Shaw of Annandale; five children from his first marriage, Robert W. Shaw II of McLean, Scott E. Shaw of Springfield, David M. Shaw of Chapel Hill, North Carolina, Kimberly M. Shaw of Alexandria and Elizabeth A. Schweiger of Winchester; a stepdaughter from his second marriage, Toni A. Luscavage of Paris, Texas; and nine grandchildren. On Tuesday, March 6, 2007, of Annandale, Virginia. Beloved husband of Camille C. Shaw; loving father of Robert W. Shaw, II of McLean, Virginia, Lieutenant Colonel Scott E. Shaw, USMC (Ret.) of Springfield, Virginia, David M. Shaw of Chapel Hill, North Carolina, Kimberly M. Shaw of Alexandria, Virginia and Elizabeth A. Schweiger of Winchester, Virginia; stepfather of Toni A. Luscavage of Paris, Texas. Also surviving are his seven grandchildren and two stepgrandchildren.